KANSAS CITY — A Manhattan High sophomore is among 41 young high school women being recognized for accomplishments and aspirations in computing and technology. 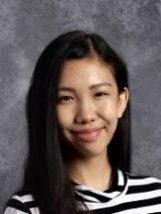 Alice Le was named an honorable mention recipient of the National Center for Women & Information Technology Award for Aspirations in Computing. She was among 18 females listed as honorable mention award recipients in addition to 20 award winners and three rising star recipients. Le received a glass trophy, and NCWIT string bag and swag items for her accomplishments. Awards were handed out Friday at the Kauffman Conference Center in Kansas City, Missouri. Le is a member of the high school science olympiad team, robotics team and math club. Her interests lie in STEM, particularly in physics. She’s also involved in the school’s Chamber Orchestra as a violinist. NCWIT is a nonprofit coalition of over 450 prominent corporation, academic institutions, government agencies and nonprofits working to improve U.S. innovation, competitiveness, and workforce sustainability by increasing women’s participation in IT. The post MHS student honored for aspirations in computing appeared first on News Radio KMAN.